Benjamin Squires was born in Thame in 1897, one of the eight children of Herbert and Amelia Squires (nee Shurrock), living at 71 Park Street, Thame. Included in the eight are his brother Joseph, who was killed at Passchendaele in 1917, and brothers William and Albert who also served and survived the war. In February 1915 Benjamin enlisted with the Grenadier Guards, and after training embarked for France in October, joining the 4th Battalion. On 26th September 1916, serving in 3 Company, he received gunshot wounds to both legs, left arm &amp; chest when in an attack by the Guards Division at Lesboeufs, during the battle of the Somme. He was invalided home, and spent twelve months in hospital. On recovering, he was drafted back to France in September 1917, returning to the front to join the 2nd Battalion with the 1st Guards Brigade of the Guards Division. On 28th March, 1918, during the First Battle of Arras, part of the German spring offensive known as Operation Michael, the battalion trenches were heavily shelled, and they had to repulse a number of German incursions which were covered by machine gun fire. Benjamin, age 21, was one of 22 from the battalion who were killed. 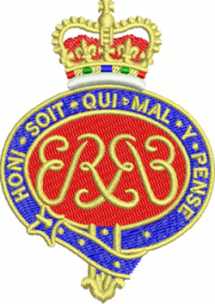 Private, 22664, Benjamin Squires, Grenadier Guards, has no known grave and is commemorated on the Arras Memorial, Pas de Calais, France. In Thame he is remembered on the town war memorial, near to the name of his brother Joseph. 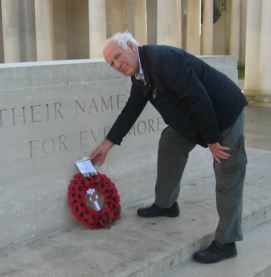 His name is also on the memorial boards of St Mary’s, All Saints and Christchurch.